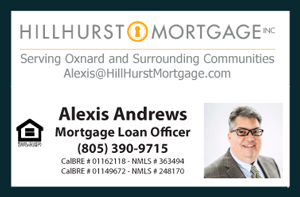 Today we are sharing the latest Luxury Homes for Sale in Camarillo CA as of July 17, 2014. The properties listed here include Luxury Single Family Homes, Houses, Condos, Townhouses, and Real Estate Listings for Sale in the California city of Camarillo in the price bracket of $750,000 and $1,000,000. Camarillo is located west of the Conejo Grade. Camarillo offers a great community to raise a family with great schools and a friendly atmosphere. Although it is a growing city, it has many private low-key locations with a country feel to it. In addition, the city is conveniently located near the major city of Los Angeles only 35 minutes away through the 101 Freeway. Summers tend to be warm and dry and locals enjoy the proximity of great beaches to cool off during these summer days. These are just some of the few things Camarillo has to offer for the whole family to enjoy. Single Family HomeGorgeous model-like dual stair cased two story home, has 4 bedrooms, 3.5 baths...Courtesy of Troop Real Estate Inc.